Being born outdoors to a thrown away mama could have made this kitten gloomy and jaded...but such is not the case. 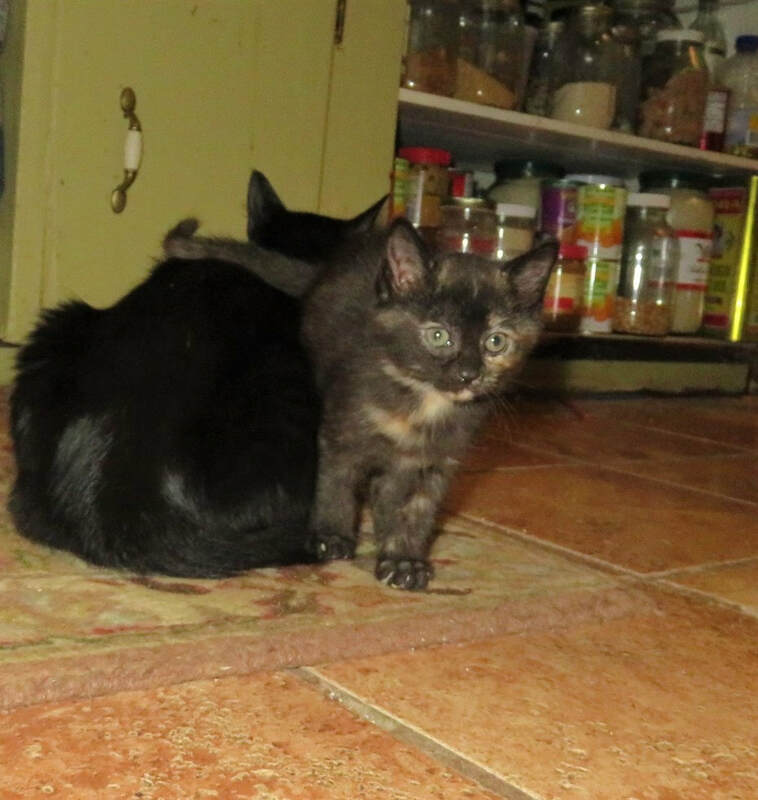 Alanis is a delightful little tortoiseshell kitten who gets along with everyone! She plays and wrestles with her siblings, pounces on the dog, and traipses after the kiddo she's fostered with. She has a very sweet disposition, and isn't half as sassy as her sister Tori. She's equally happy to follow her person around, or play with toys! She's very good at keeping herself entertained. She's like rain, on a too hot day. She's like a blanket, when its too cold to play. She'll give good advice, that you really should take. And you should have thought, this kitten!